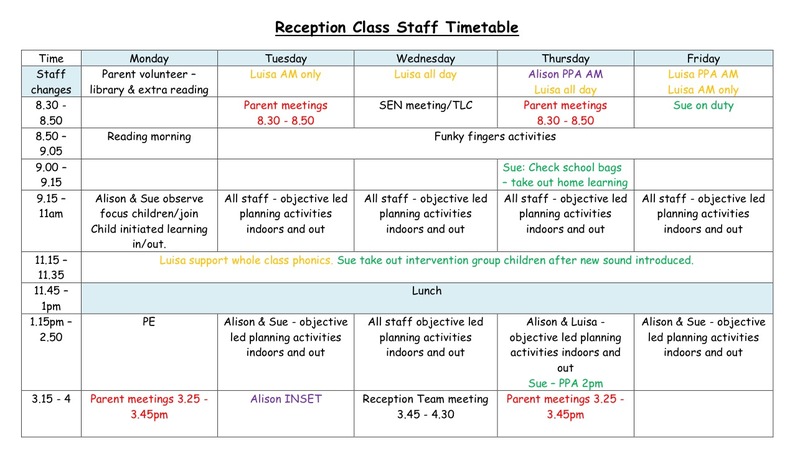 Rock My Classroom – Irresistible early Years ideas for your indoor and outdoor provision…. This week I introduced elements of the film Frozen to my provision, much to the delight of the girls in my class. I often do very boy-orientated topics to try to ensure engagement, but this year I just couldn’t ignore the obsession with the much loved film. 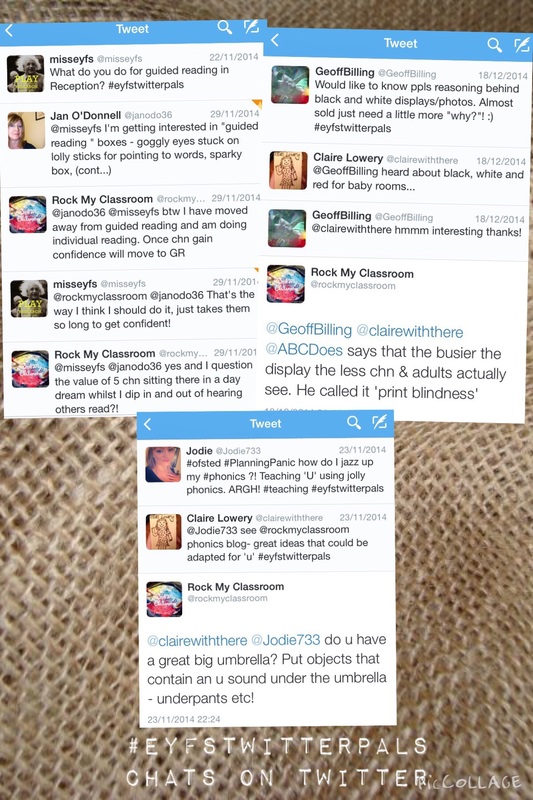 I introduced the topic by having a package delivered to class, at which point the children began to clap. Bear in mind that the last package they received contained The Elf On The Shelf. I read out the sender’s address, Queen Elsa, Arendelle Castle, Norway, at which point they started to squeal. The special helpers opened the box and discovered several frozen characters. There was a note inside from Elsa explaining that she had accidentally frozen her sister and her friends and that she needed the children’s help to free them. The children offered some suggestions about how we could free them – ‘Bash the ice, crack it, use cold water, put them in the sun’. 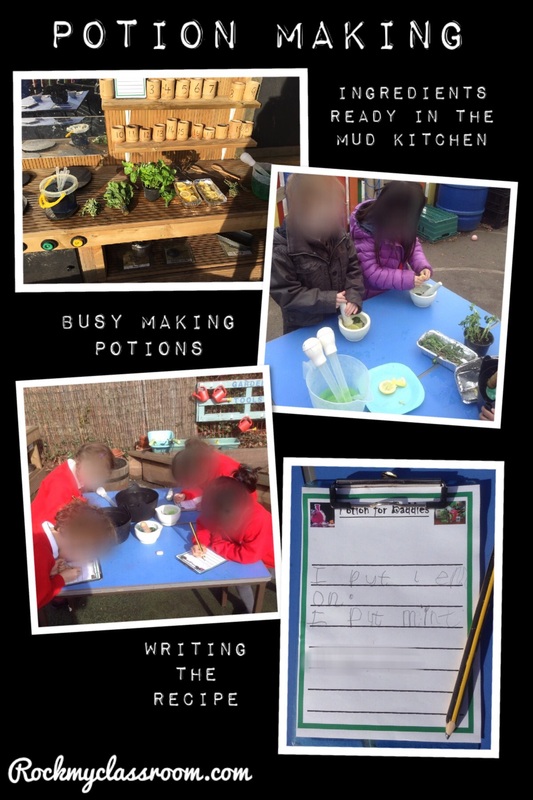 We set up an investigation table containing some of their suggestions – hot and cold water, wooden spoons and salt (an added provocation). One of the children then put Anna outside in the sun. 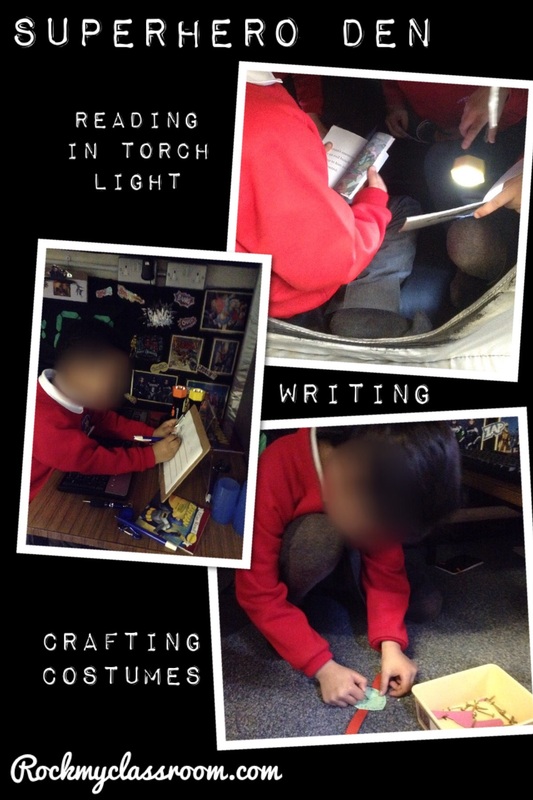 There was the most incredible learning buzz in the air. 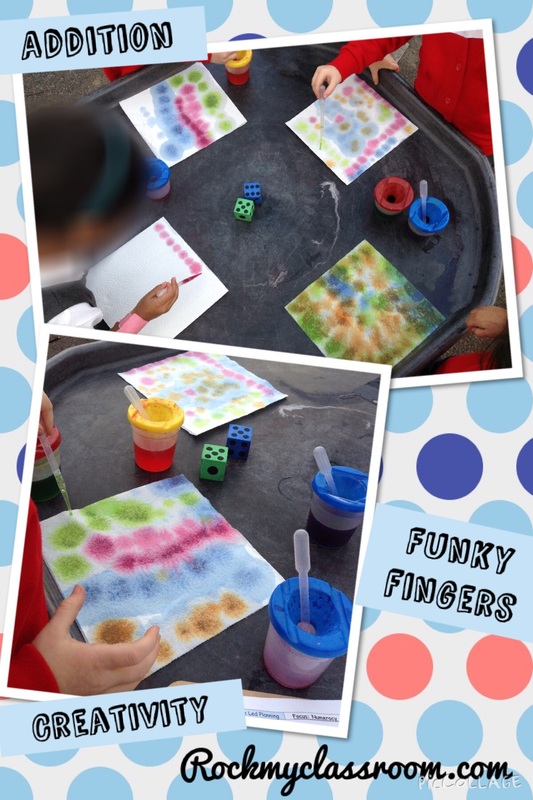 The children were so highly engaged and focused on the task in hand. When Anna didn’t melt outside they all offered suggestions as to why this might have been, with one little boy realising that it was too cold. The following day we kept the ice theme going by freezing some of the children’s favourite toys – the superheroes. We hid them in the ‘people’ small world drawer knowing that they would be discovered very quickly. The kids were desperate to free them and brought them outside, fetching buckets of hot water and asked me to get some salt. 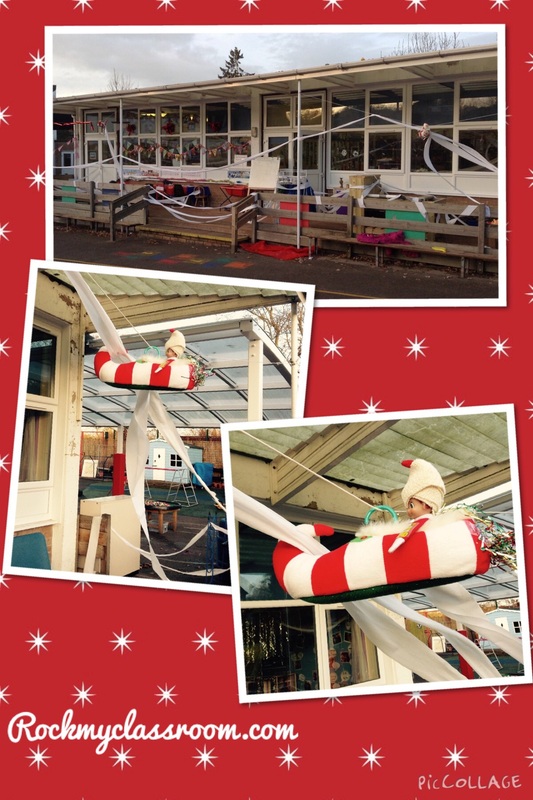 One of the boys told me that the salt had ‘eaten’ the ice yesterday so it was a good idea to use it again! 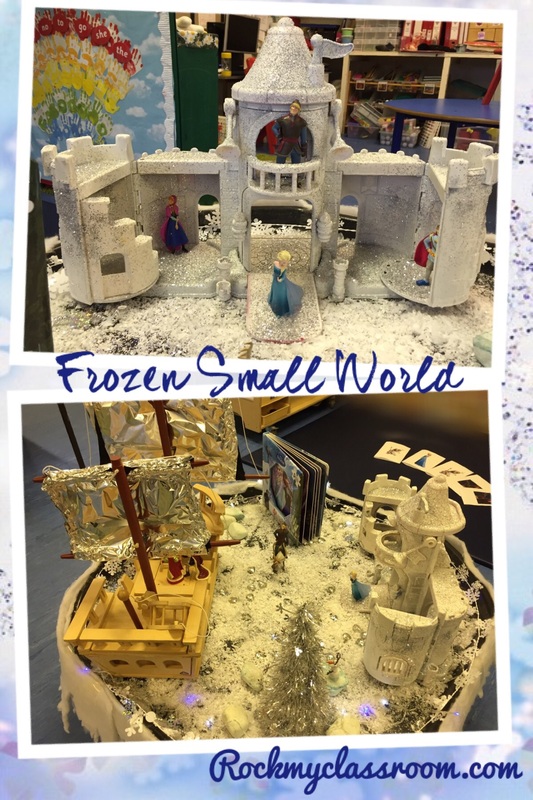 We created our ice palace small world by spray painting a happyland ebay purchase with white enamel spray and flinging some (a lot) of glitter on top! As you can imagine it was very popular and we had to limit the number of children. 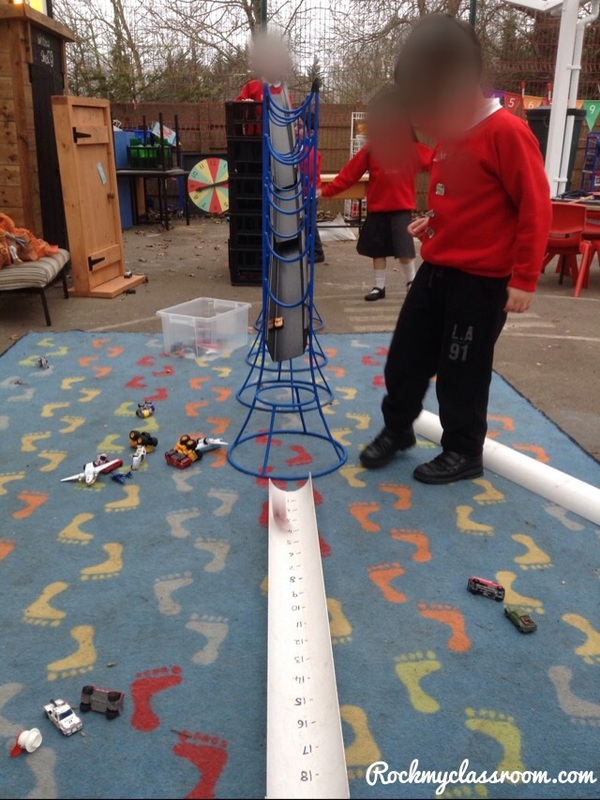 We did this by saying that if the children wanted to play with it then they needed to write a letter saying so and post it in the letter box. You can imagine it was overflowing 🙂 We then chose 4 letters from the letter box and those 4 children were allowed to play. 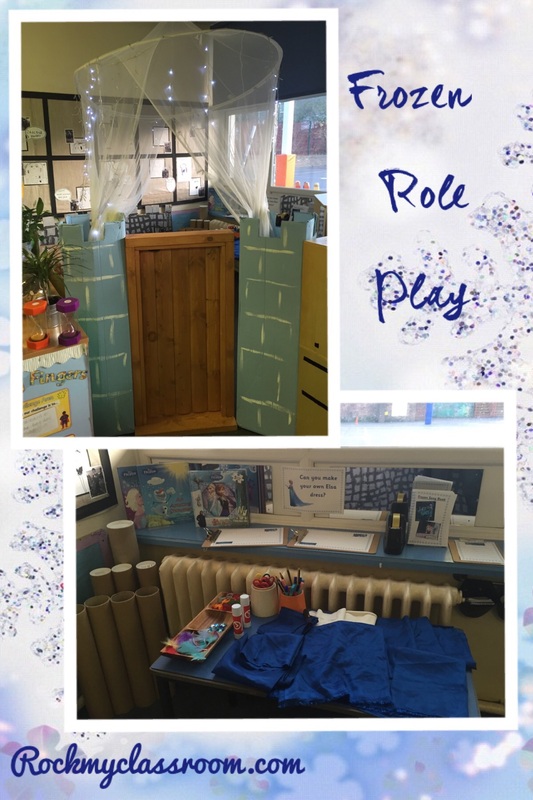 We also set up a simple Frozen roleplay area. Having been inspired by Tishylishy I have costume making as the main focus, as well as lots of writing frames and some boxes and tubes for children to build their own castles or whatever they wish. 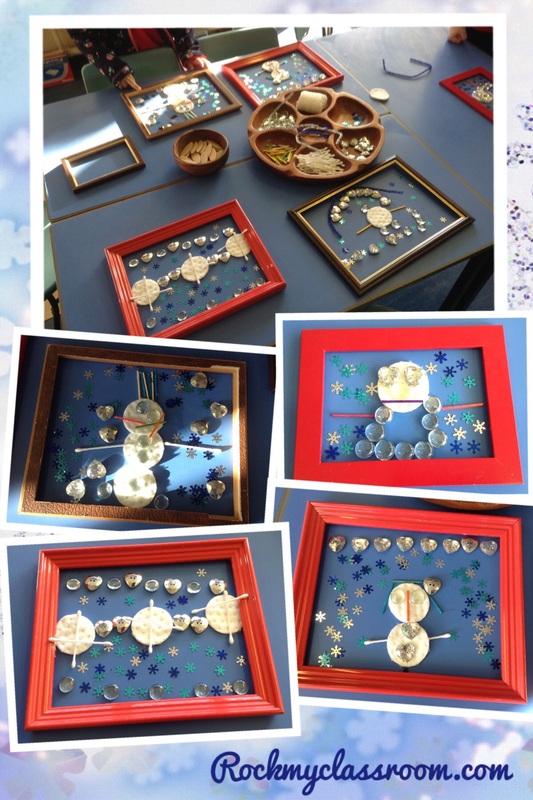 Again I gained inspiration for this activity from another Facebook friend, Stimulating Learning With Rachel, who has some wonderful examples of transient art. 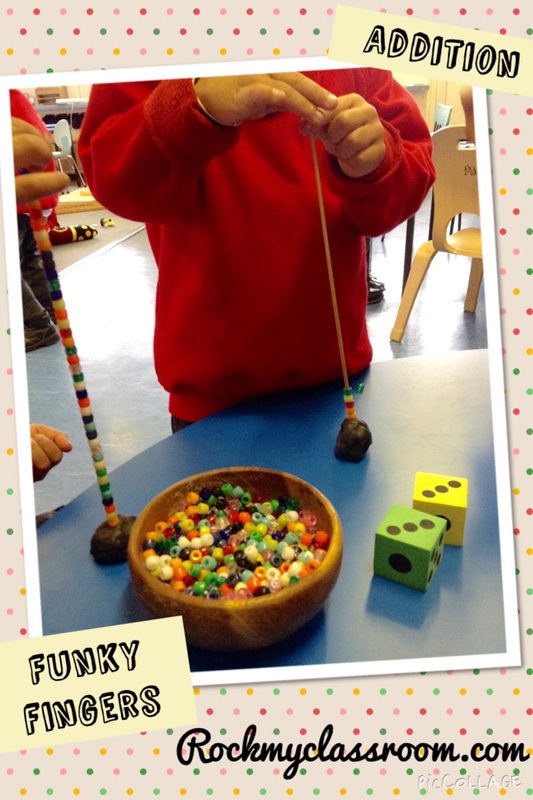 I just love the creations the children came up with independently. 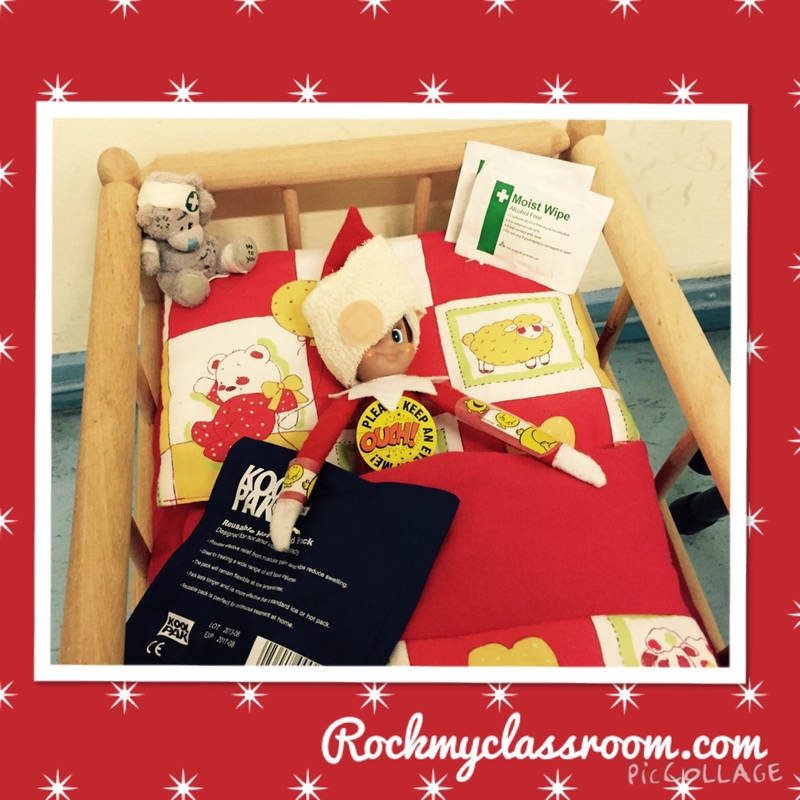 Here are 10 ideas for using the elf on the shelf in your classroom. Some of these you may have already seen on the Facebook, but I thought I’d include them for any new readers of my blog. 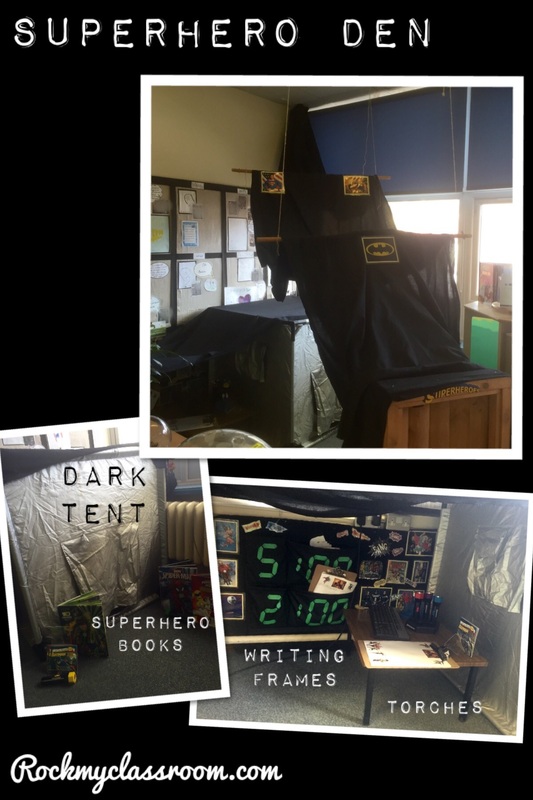 I’ve included a possible writing hook with each scenario as they often really lend themselves to encouraging writing and mark making. 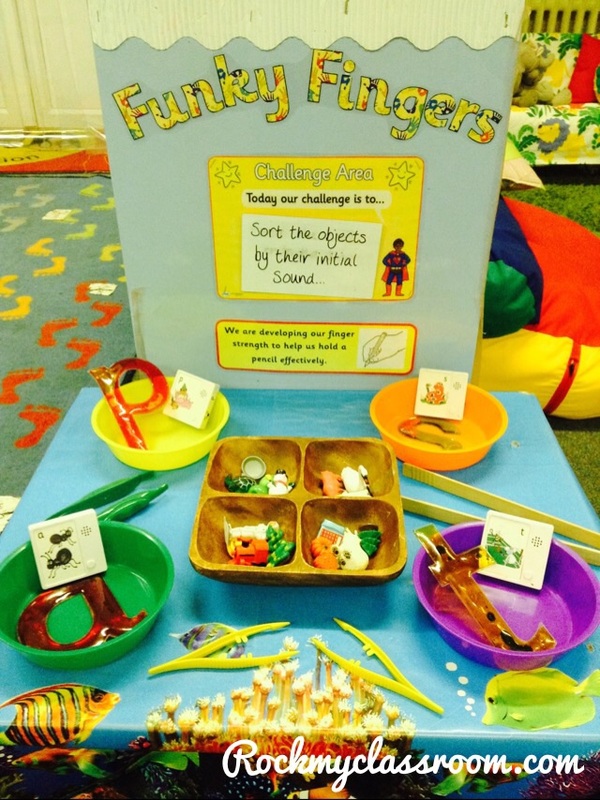 Writing hook: Lollipop sticks and small pieces of paper for children to make support banners for their elf e.g. Go Sparkle, Sparkle to win! Writing hook: Leave out the large road signs or suggest that the children write posters to the elf telling him to stop making such a mess! 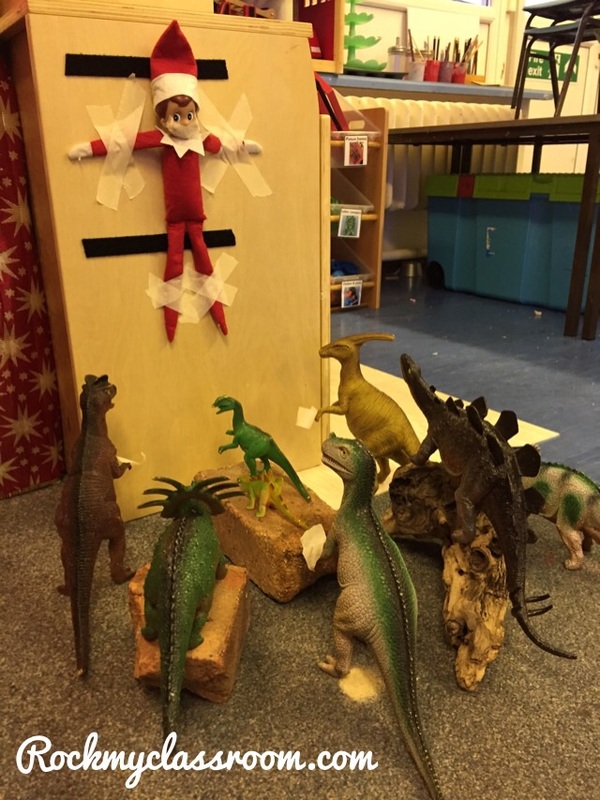 Writing hook: Leave pieces of paper and sellotape nearby for the children to write signs and posters telling the dinosaurs to leave the elf alone. If you follow me on Facebook you’ll remember the little elves I bought in Tiger. I think they look so sweet in my elf school. 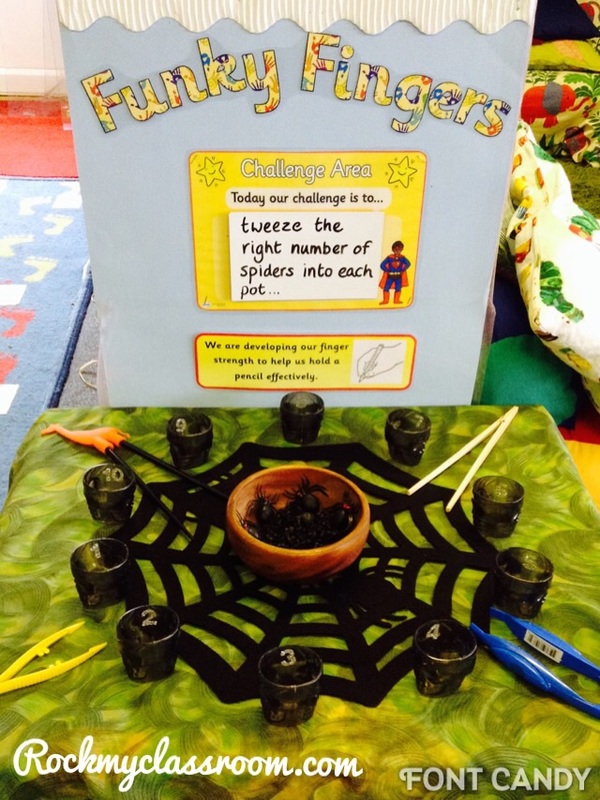 The children actually squealed when they discovered them this morning! 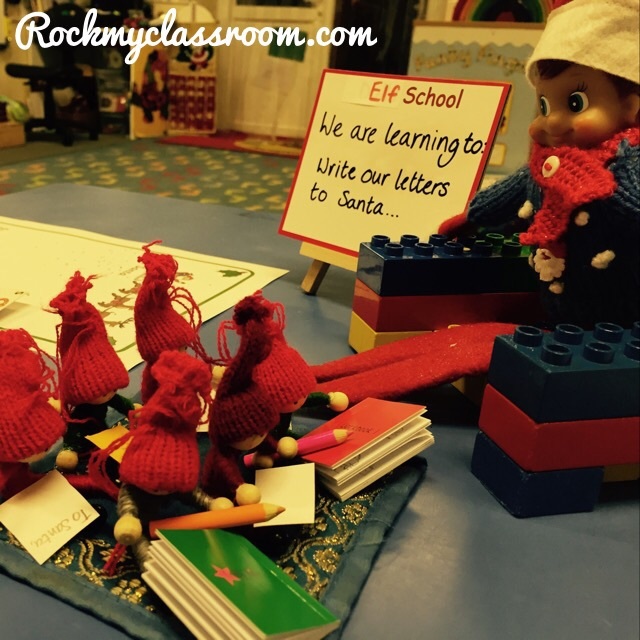 Writing hook – The children already spend the day re-enacting the school day in their ‘school’ role play area and didn’t need any prompting to start teaching the elves the sounds they have been learning. One of the boys even started writing the school rules on the board!! Writing hook: Usually the children suggest this before I do, but even so, make it easier for them by leaving some cards laid out on the table as a prompt. Writing hook: I left some name cards in the tuff spot to encourage the children to come and write their names and other letters in the salt. Writing hook: As above, Leave out the large road signs or suggest that the children write posters to the elf telling him to stop making such a mess! Writing hook: the recipe templates that have been left on the tuff spot. I’m going to encourage the children to write out the list of ingredients that they used to create their reindeer food. Really sorry but I forgot to take a picture of this! I set up the elf holding a big piece of chalk with the words ‘Hi Santa’ written on the ground. I encouraged the children to have a go at writing big words on the ground so that Santa would be able to see them from the sky! 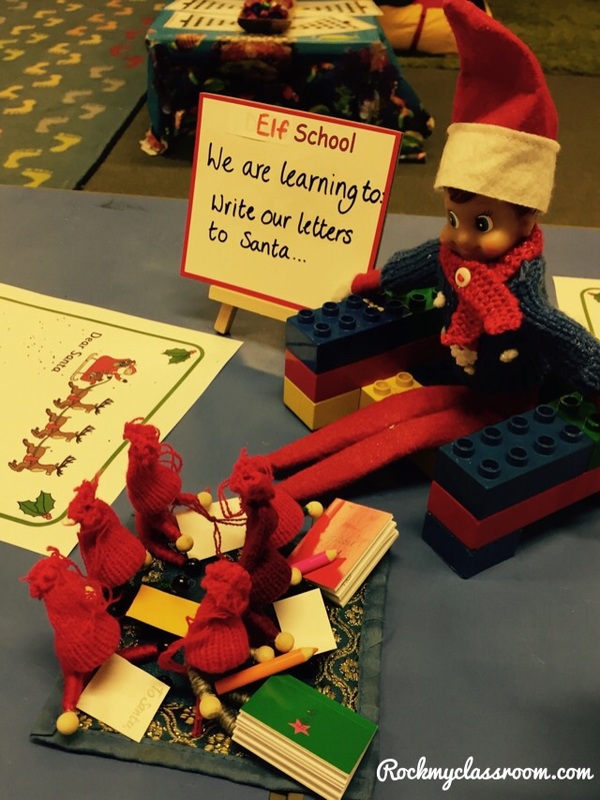 There you have it, 10 ideas for using your elf in the classroom and encouraging some writing while you’re at it! Only 3 more get ups people, we can do this! 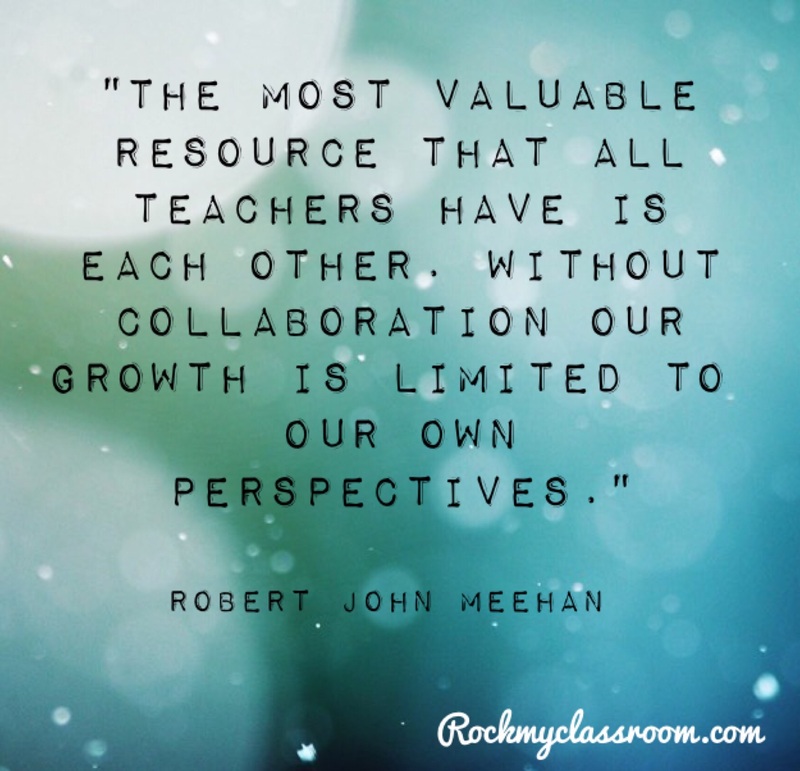 This will be my last blog post until the New Year. I hope you all have a fabulous, peaceful and restful Christmas.